Tara received her bachelors degree from the University of Wisconsin-Madison (Go Badgers!) where she studied neurobiology. 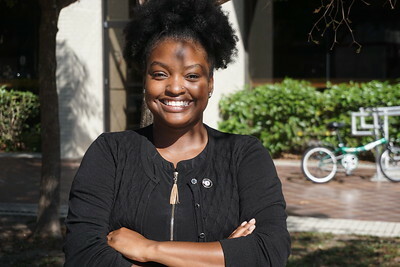 After graduating she traded her ice scraper for a sun shade and moved to Fort Lauderdale to pursue her masters in College Student Affairs and Conflict Analysis and Resolution at Nova Southeastern University. 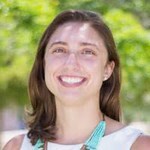 Tara loves evaluating systems, tackling large scale projects, fitness, and stand up paddle-boarding. Dani has been the Assistant Director of SA[u]CE since March 2017; you’ll find her in the back of HCL 4 or blasting music around campus. She has two degrees from Nova Southeastern University. She’s always excited about implementing programs on campus, coconut water, heath bar ice-cream, and writing all over Tara’s office white board. Jada McNeill joined the SA[u]CE office as the AmeriCorps VISTA Volunteer Coordinator for the 2018-2019 school year. Jada graduated from University of Tennessee-Knoxville with a B.A. in Psychology, and from Tennessee State University with a master’s in public health. 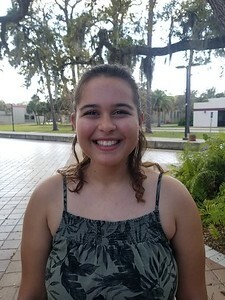 She currently manages the food pantry on campus, and promotes civic engagement between the NCF community, and surrounding communities in Sarasota and Bradenton. 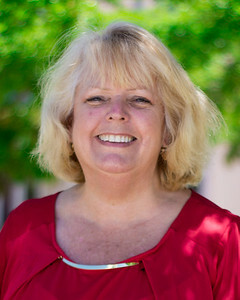 Lisa is the Office Manager for Student Activities and Campus Engagement at New College of Florida. 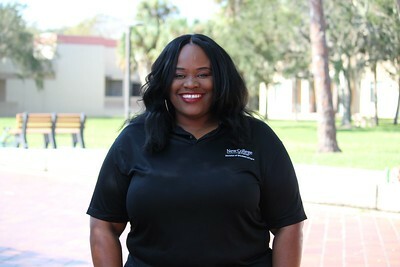 She has been a part of the Student Affairs team at New College of Florida for 18 years; Lisa has experience in the Dean’s Office, Student Disability Services, AND SA[u]CE! Her favorite part of work is interacting with students who come into the office and attend events on campus. Lisa is a Sarasota native, she loves having her family close and enjoys spending her weekends kayaking with her husband and son. If you stop by ask to see a picture of her dog or the cool bracelets she makes! Daria Paulis is a first year S.E.T member at New College of Florida. She is currently planning on pursuing her degree in Neurobiology. She is on the board of the sailing team and competes with them regularly. Despite her lactose intolerance she loves rocky road ice cream. Her favorite colors are green and purple, and when she’s not taking karate at the gym you can find her watching Grey’s Anatomy in the comfort of her blue elephant blanket. 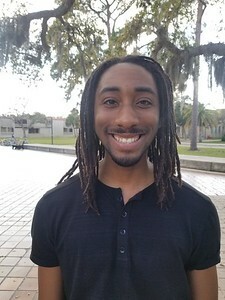 Rolando Tate is a Music and Philosophy AOC hailing from Miami, Florida. He enjoys neo-soul, funk, fusion- and world jazz as his favorite musical genres and either reading manga or watching film and anime media and their commentaries in his free time. You can often find him either jamming out with earbuds on or zoning into some intense journaling.